MATLAB® es el lenguaje de alto nivel y un entorno interactivo utilizado por millones de ingenieros y científicos de todo el mundo. Se le permite explorar y visualizar las ideas y colaborar en todas las disciplinas, incluyendo la señal y el procesamiento de imágenes, comunicaciones, sistemas de control, y las finanzas computacional. Usted puede utilizar MATLAB en proyectos tales como el consumo de energía de modelado para construir las redes eléctricas inteligentes, desarrollo de algoritmos de control para vehículos hipersónicos, analizando los datos del tiempo para visualizar la trayectoria y la intensidad de los huracanes, y corriendo millones de simulaciones para determinar la dosis óptima de antibióticos. • ​Live Editor:Pan, zoom, and rotate axes in output figures​. • Live Editor:Create and edit equations interactively using the equation editor​. • Live Editor:Create new sections and format text quickly using autoformatting​. • Command Window:View updated display for arrays, including headers indicating class, size, and shape. 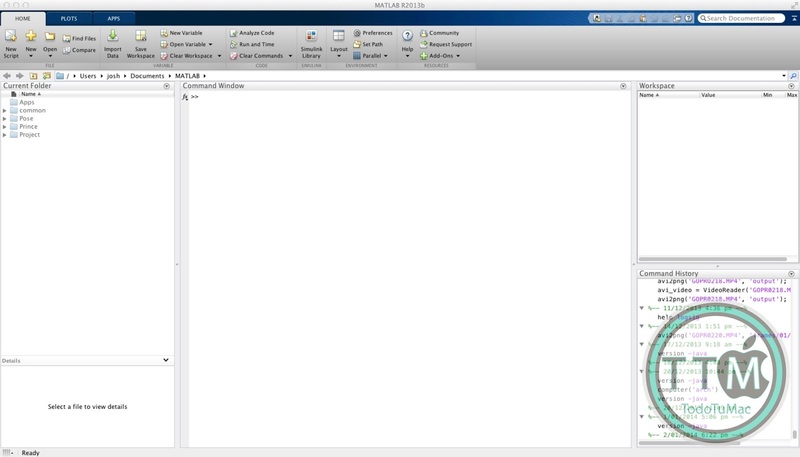 • Product Trials:Download trials for MathWorks products using Add-On Explorer​. • Toolbox Packaging:Include live script examples, generate info.xml and helptoc.xml templates for custom documentation, and modify Java class path on installation. • Functions in Scripts:Define local functions in scripts for improved code reuse and readability. • string Array:Manipulate, compare, and store text data efficiently​. • timetable Data Container:Manage time-stamped tabular data with time-based indexing and synchronization​​​. • timerange Function:Access all data in a specified date and time range in a timetable. • vartype Function:Access all variables of a specified datatype in a table. • table Data Container:Reference all variables in a table with compatible types using the Variables property. • dir Function:Search for folders and subfolders recursively. • Implicit Expansion:Apply element-wise operations and functions to arrays with automatic expansion of dimensions of length 1. • graph and digraph Objects:Compute graph isomorphism, biconnected components, cut vertices, and node condensation. • graph and digraph Objects:Visualize graphs and networks in 3-D ・digraph Object:Reverse edge directions in a directed graph using the flipedge function. • Date and Time Plotting:Use datetime or duration data in common plotting functions, and customize plots with datetime and duration rulers. • polarscatter and polarhistogram Functions:Create scatter and histogram plots in polar coordinates. • fimplicit and fimplicit3 Functions:Plot implicit functions of the form f(x,y) = 0 and f(x,y,z) = 0. • Tick Formatting Functions:Customize text, position, rotation, and format for axis tick labels. • errorbar Function:Create vertical and horizontal error bars and control hat width. • plot Function:Control location and frequency of markers with the MarkerIndices property. • readtable Function:Autom​atically detect and return date and time data in text and spreadsheet files. • dete​ctImportOptions Function:Detect layout of text and Excel files and customize import options to readtable​. • VideoReader Object:Read video frames more quickly from MP4 and MOV files on Windows systems. • imageDa​tastore Function:Read batches of images for faster processing in machine learning and computer vision applications. • TallDatastore Object:Efficiently retrieve preprocessed and cleaned-up data saved using the write function of the MATLAB tall arrays. • jsondecode, jsonencode Functions:Encode and decode structured data in JSON-formatted text. • tall Arrays:Manipulate and analyze data that is too big to fit in memory. • Missing Data Functions:Find, fill, and remove missing data from arrays or tables with ismissing, standardizeMissing, fillmissing, and rmmissing. • Cumulative Functions:Ignore NaNs using 'omitnan' in cumsum, cummin, and cummax. • discretize Function:Discretize datetime and duration arrays to separate time-stamped data into regular time intervals. • Constrained Pan and Zoom:Pan or zoom in a single dimension for 2-D and 3-D plots. • App Designer:Include common 2-D plots in apps, such as area, bar, contour, histogram, yyaxis, and function plots. • App Designer:Create legends for 2-D plots in apps. • App Designer:Embed tabular displays using uitable in apps. • App Designer:Create callback functions that can be shared across multiple components. • App Designer:Add, position, and resize labeled components, and create components with names derived from labels Performance. • Graphics Display:Render plots with large numbers of markers faster using less memory. • Execution Engine:Execute tight loops with scalar math faster​​. • Execution Engine:Construct objects faster​​​ Hardware Support. 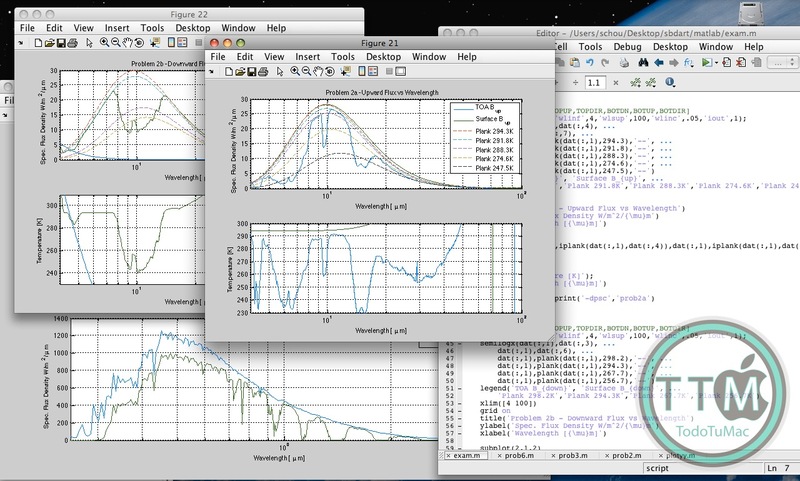 • ​iPhone and Android Sensors:Log data from mobile sensors on the MathWorks Cloud over a Wi-Fi or cellular network​. • Arduino:Write to shift registers. • Raspberry Pi:Generate PWM signals and control servo motors from GPIO pins on Raspberry Pi. • Raspberry Pi:Support for Raspberry Pi 3 Model B. • Raspberry Pi:Read​ from sensors and write to the LED matrix on a Raspberry Pi Sense HAT​ Advanced Software Development. • matlab.net.http Object:Access HTTP services with low-level protocol control. 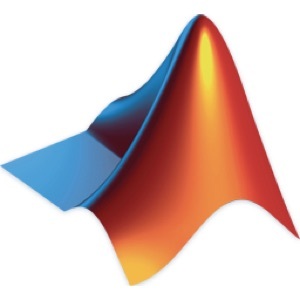 • MATLAB Engine API for Java:Run MATLAB code from Java programs. • matlab.mixin.SetGet:Allow inexact property names by default in calls to set and get. • Unit Testing Framework:Generate Microsoft Word or Adobe PDF reports of a test run. • Unit and Performance Testing Frameworks:Improve code reuse and readability by using local functions in script-based tests.